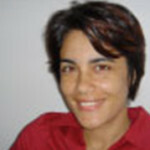 Dr. Maya Cesari is Associate Professor at the University of La Reunion since 2000. She teaches molecular biology, genetic engineering and immunology for students in biochemistry. In research, her work focuses on biology of human adipocyte. She is specialized in molecular and cellular biology. She has worked on the characterization of Toll-like receptor at human adipocyte surface and obesity-associated deregulation of the inflammatory hormones expression (a-TNF, leptin, IL-6). 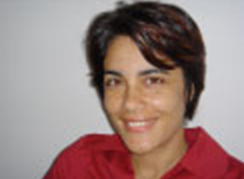 Currently, she participates, in the working group GEICO, on the understanding of the role of HMGB1 alarmin in obesity and adipocyte inflammation.Furthermore, she is the scientific manager of CYROI platform, first joint hospital-university platform of La Reunion. She has monitored the CYROI project since its start, in 2003.She has been member of the scientific and administrative board of RUN-Univ.She is member of CNU 64.She is member of boards of directors of different organizations (Cluster Qualitropic, APLAMEDOM, Science Reunion association, CYROI-GIP, les petits débrouillards).Since 2013, she is the representative and correspondent of INSERM in La Reunion.